In less than four years’ time, Millennials will make up more than one-third of the global workforce. They’re the leaders of tomorrow, so we wanted to understand how different they are – or aren’t – from the rest of the workforce. To do that, we interviewed 19,000 Millennials across 25 countries. We asked them what their top career priorities were; how they feel about their managers; what would motivate them to stay at (or leave) a company; and more. Added to this, we also interviewed the managers of Millennials. We wanted to get their perspective on what Millennials are getting right about their careers, and where they think they could use some work. 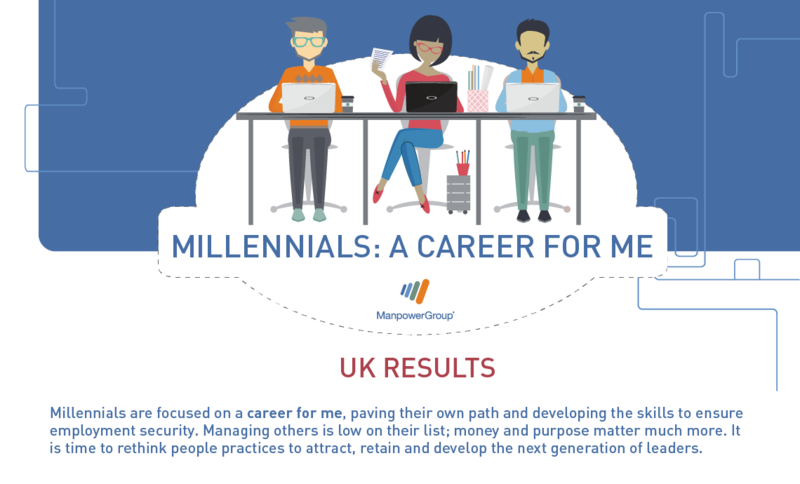 Take a look below for an infographic of how Millennials are building a ‘career for me’. Click here to view the infographic as a PDF. Millennials are paving their own path, and developing the skills to ensure employment security. They’re focused on building a ‘career for me’. As a result, managing others is low on their list of priorities – money and purpose are much more important. 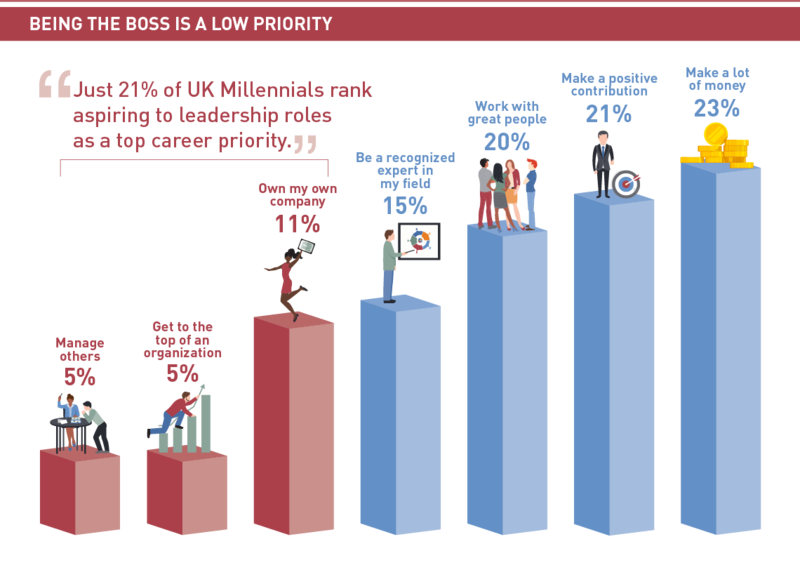 In fact, when we asked Millennials about their top career aspirations, only 5% of UK respondents said ‘managing others’ was their top priority, compared to 21% who said ‘make a positive contribution’. Of course, this doesn’t mean they don’t want to be leaders of tomorrow. Instead, it means they’re more motivated by the pursuit of purpose. As a result, it’s clearer than ever that loyalty is a two way street. 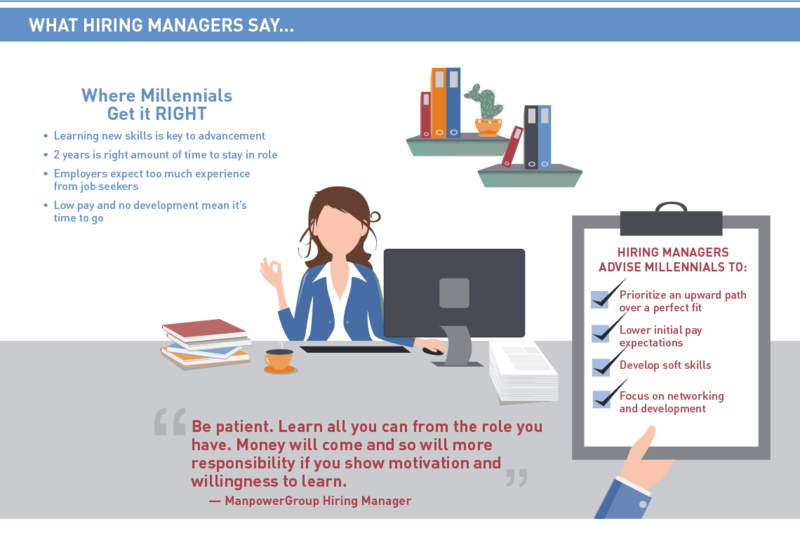 To cultivate the next generation of leaders, employers need to show Millennials how taking on managerial roles aligns with their long-term career goals, and will help make them more employable in the future.